A social enterprise is a publicly responsible and innovative venture, driven by unmet community needs, that exists as a hybrid of the traditional nonprofit and business models. Broadly, these ventures can be classified into three categories defined by the Social Enterprise Alliance: opportunity employment; donate back; and transformative product or service. At Bethany Village Thrift Shop, great finds come with great impact. After operating in a rental space for about three years, where they barely managed to clear costs, the shop and its established clientele moved to a building more than double in size that was owned by Bethany Village itself. Separated by a sidewalk from the organization’s food pantry and apartment building, the new shop, which opened in 2011, has become a community destination. “When you establish this kind of operation in the community, so many people begin to identify with the whole place,” explains Wally King, Executive Director. “And when people think of Bethany Village, they think of Bethany Village as the whole thing.” The “whole thing” for this Southern Illinoisan nonprofit includes all the services that provide families in need with basic necessities: food, housing, clothing, and more. “Without the thrift store, we wouldn’t be here,” says Wally. The store generates $70,000-$80,000 in gross income annually, selling items that are priced as low as 25 cents at times. 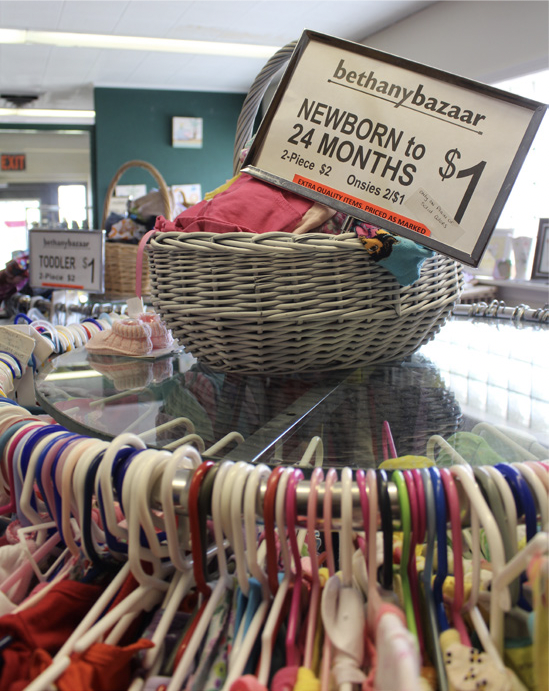 Through the thrift shop, Bethany Village gets critical funds to support its operations, and shoppers of all socioeconomic levels get a department store experience for a fraction of the cost. The store is operated by a single manager and a handful of volunteers who often come from the organization’s housing units. In fact, a few of the people who managed the thrift shop over the years started out in the homeless shelter. “You’re taking someone who is homeless, giving them job training, and then putting them in charge of the entire operation,” shares Wally. For young moms living in poverty, Bright Endeavors helps light the way to brighter futures. 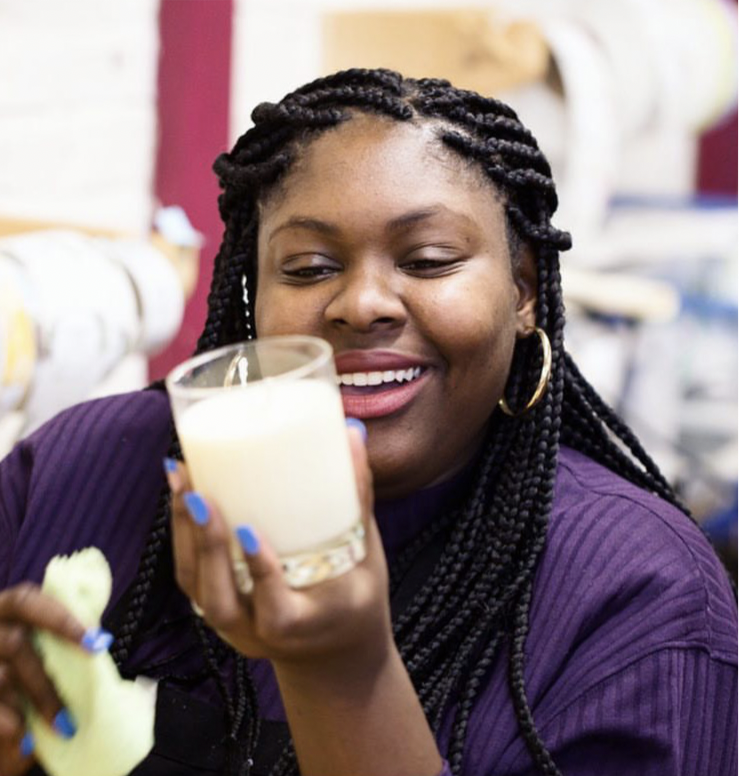 This Chicago- based social enterprise, which was established in 2007 and then merged with the long-standing nonprofit, New Moms in 2010, teaches participants how to craft premium soy candles for nationwide distribution. Along with paid transitional jobs in candle-making, young moms receive housing and job training to facilitate successful entry into the workforce. “We view social enterprise as a critical component to sustaining and successfully providing job training,” says New Moms and Bright Endeavors CEO Laura Zumdahl. Bright Endeavors produces over $250,000 in earned revenue annually, all of which goes directly back into the program. This opportunity employment model has resulted in 61% of young moms remaining in permanent employment one year after graduation, compared to the national average of 39% for similar programs. “[Participants] leave with a sense of confidence and achievement that they may not have foreseen before,” adds Gabrielle Calver-McNeal, Assistant Director of Workforce Development. Sometimes all it takes is a single spark to begin a great transformation. In 1987, Mark Ennis purchased a vacant building in North Lawndale and recruited members of the community to restore it, including some who had been using the space for shelter. Today, that model has translated into a successful community development corporation called Breaking Ground, which aims to educate and empower families against the consequences of urban poverty while providing vital manufacturing and construction services for the community. Breaking Ground’s APL Teaching Factory prepares over 250 students annually for entry-level manufacturing positions and is supported by Breaking Ground’s status as a reliable developer and general contractor for the community. Through its Affordable Homes Program, graduates of the APL Teaching Factory are employed in new construction and neighborhood stabilization projects. Breaking Ground also operates Cleanstreet, a neighborhood beautification business serving 10 business districts across the City of Chicago, that employs people with barriers to entry into the workforce. Through Breaking Ground Staffing, they support other employers who hire veterans, ex-offenders, or welfare recipients by completing their tax paperwork as part of their broader efforts to provide work placement for those in their education program. Jeff Dennis, executive director, explains that all of these “economic engines” are created to support the teaching factory and provide income for people in the process of job training. Habitat ReStore provides families with the supplies needed to furnish their homes in order to secure the funds to build homes for others. By collecting and selling gently used furniture, appliances, electronics, household items and home improvement supplies,they are able to reinves all proceeds into the work of Habitat for Humanity of Champaign County. Reusable items from Habitat’s own deconstruction projects are often put up for sale as well. 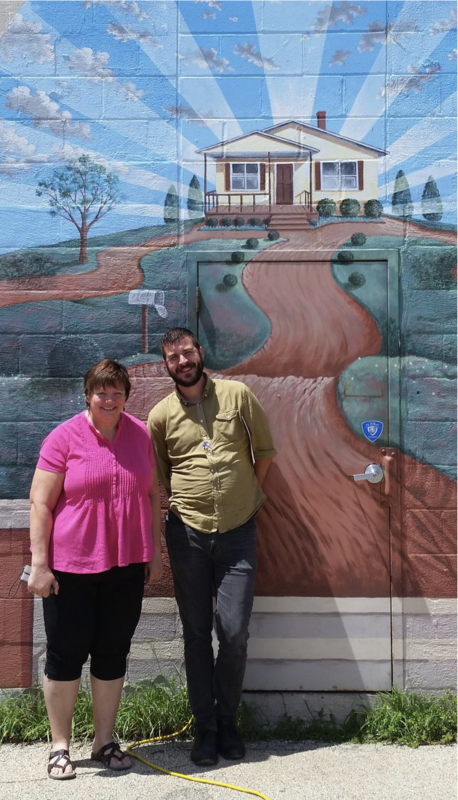 As one of over 750 ReStores nationwide and 19 locations in Illinois, Champaign’s ReStore, which opened in 2003, has been a steady source of revenue for the organization’s efforts to build and renovate safe homes for low-income families. Virtually all administrative costs are covered by ReStore revenues, allowing other donations to go directly into home building. In addition to donating back to its programs to provide affordable housing in Champaign, the 15,000 square foot store prevents over 200 tons of materials from going to the landfill annually. Through a local cycle of giving, buying, and reinvesting, Habitat ReStore promotes both community involvement and environmental consciousness. Thinking about starting your own social enterprise? Check out the following resources. REDF: Invests in social enterprises by providing financial and advisory services. Social Enterprise Alliance: Helps grow the network and build the capacity of its members on a national scale. The Community Law Project: Provides legal assistance to community-based organizations focused on community and economic development. CiTTA Partnership: Offers strategic planning and consulting serves to bring financial growth along with social impact.